Become an integral part of our community by starting or renewing a membership at Vajrayana Institute. Your membership contributes to supporting our sangha and the ongoing expenses of conducting the spiritual programme of the centre. Supporting the centre will continue to bear fruit for many generations and help repay the great kindness of our teachers. To newly apply for VI membership, please read the following terms and conditions related to our membership application carefully. VI membership application is subjected to agreeing to Vajrayana Institute’s Rules and approval by Vajrayana Institute Executive Committee. When you become a member of VI, you are asked to follow the advice of our Spiritual Director Lama Zopa Rinpoche in regard to centre matters. We also require that no VI members practice Shugden. Information clarifying the history regarding the Shugden practice can be found on the FPMT website. Thank you for becoming a member of VI and helping us to bring the Buddha’s teachings to sentient beings. If you wish to become a member of Vajrayana Institute or would like to renew your membership download the form below. Once completed the form may be returned to VI via email – office@vajrayana.com.au – or forwarded in the post. If you have any difficulties with this process or have questions please contact the office on office@vajrayana.com.au or Ph (02) 9798 9644. Vajrayana Institute relies on the ongoing support of volunteers for the centre to flourish. Volunteers take on many responsibilities at the centre including working in the office and shop, as well as assisting with facilitating at teachings, big events and conferences. Volunteers also contribute by cleaning and tidying the gompa, helping with gardening, and cleaning and cooking meals for the resident Sangha. We need course facilitators for our regular teaching program, such as Discovering Buddhism on Monday evening, and for our weekend classes/workshops/retreats. Please email office@vajrayana.com.au if you can help with any of the events. Facilitators need to be able to arrive about 45 minutes before and stay back to tidy up after the course/event. We are seeking a Housekeeping Manager responsible for coordinating the cleaning and maintenance of the centre. This is a wonderful and precious opportunity to be of service to Vajrayana Institute and in return be offered free accommodation in a Tibetan Buddhist setting, conducive for meditation, Buddhist study and practice. Provide hands on service. General cleaning, sweeping, vacuuming, washing, dusting etc. This is a volunteer position – Lodging, utilities, internet and access to a great variety of teachings at the centre are provided free of charge. Experience preferred but not required. Immediate start is available. Volunteers play such a vital role in the success of all of our events. Without the help of our wonderfully dedicated volunteers, it would be almost impossible for these events to be so successful. 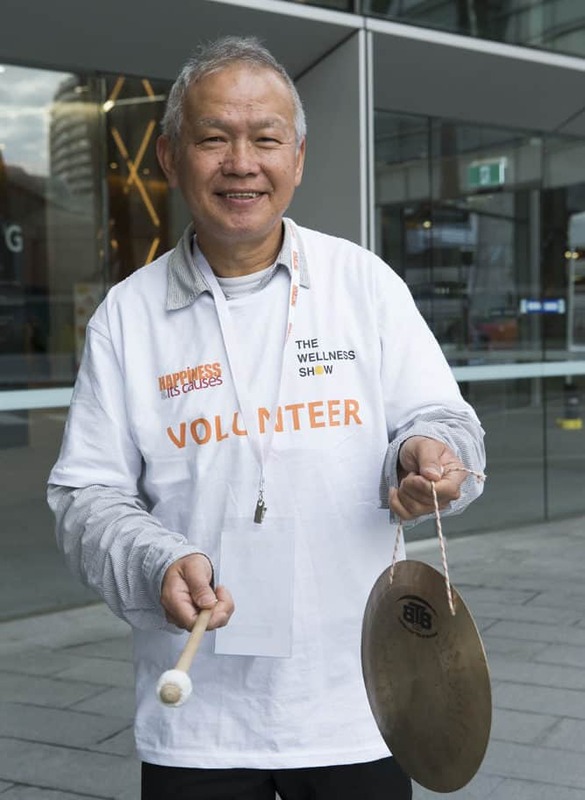 Volunteers fill a range of roles at the Happiness & Its Causes Conference including front-of-house, directional help, ushering, pack up and pack down, taking care of conference speakers and running errands. Volunteering at our conferences and other events is a great way to meet people, gain new skills, as well as have fun and be part of a terrific team. If you’d like to get involved and be part of a dynamic team, we would love to have you on-board. Are you interested in deepening your dharma practice by living at Vajrayana Institute? As Vajrayana Institute is a Buddhist teaching centre, you will be expected to live as a lay practitioner in a semi-monastic environment. You will be expected to regularly attend teachings at the centre and be committed to the practice of Dharma. Note that all in-house teachings on the regular VI program are free of charge to residents. You should be a paid-up member of Vajrayana Institute and you must remain so throughout your stay. You will be expected to commit to a minimum of two hours per week service to the centre. To help you determine whether a semi-monastic life suits your personality, there is a trial period of three months for all new residents. At the completion of the trial period and before permanent residency is approved, you will be interviewed to assess your impressions of living here and your involvement in resident activities. Rooms are rented on a single occupancy basis only.